It has been a very good week here in the quilting studio this week! I have two finishes to report. One is Sisters Nine Patch, you can read about it here. This quilt is BIG 93x93 and used up 20 yards from my stash! and finished just in time for my Stash Report! So here are the new numbers! Now I am finally going in the right direction! Used this week: 29 yards. 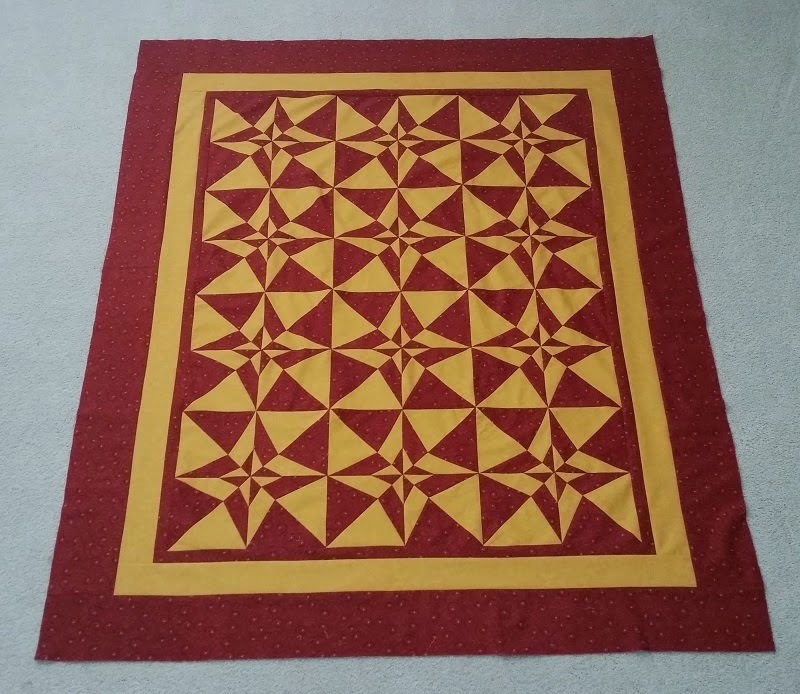 I really like the pattern, the fabrics of red and cheddar really make a stunning quilt. Great job and another large quilt using up your stash. Nice. Kerry, don't remember anything about the Day and Night project. You must have been working on this one at Joe's. Happy for you to be in the BLACK!